Are Brits Obsessed with Buying New Cars? You may have noticed a big change on the roads in the last 10 years. New cars are being registered on UK roads at a surprising rate. This creates a natural improvement in second-hand car quality and as a result most vehicles on the road are now post-millennium registered, with many brand new models appearing all the time. This shift in automotive purchasing habits is worth looking at in more detail – why are we buying more new cars than ever before, and are we really getting the most for our money? 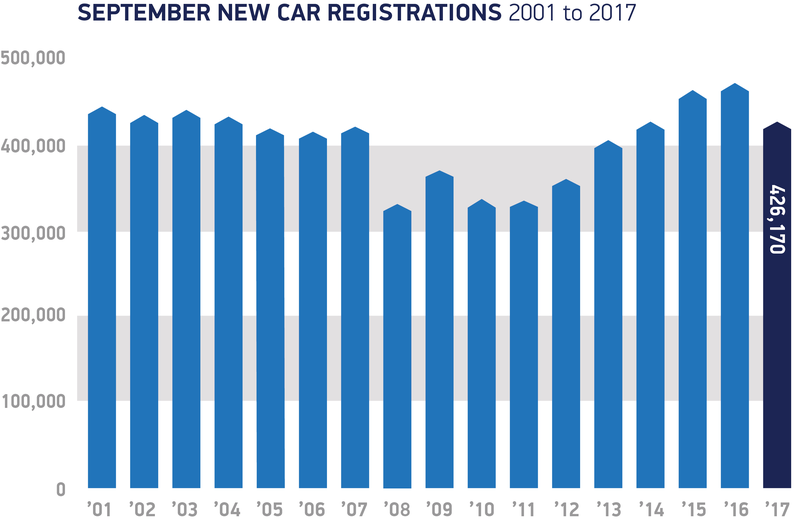 Between 2010 and 2016, new car registrations increased year-on-year. An understandable dip in new car sales around the recession in 2008 meant that there was some catching up to do, and we reached pre-recession figures in 2014. While other industries have struggled to get back on their feet since the recession, new car sales have surprised everyone. During the same time span, new car sales in countries like France, Germany and Italy have fallen. Of course, as a relatively small country with a good motorway network, company cars are also contributing to the boom. But what about private buyers? When many have been struggling to get back on their feet, how are Brits affording so many new cars? Why are Brits buying more new cars? There are many contributing factors to the new car boom, and they’ve all worked together to produce this big change in our car-buying habits. The recession, of course, had an effect on spending. However, car retailers were quick to create tempting and desirable finance options for those who could no longer rely on savings. In the past, you would have to negotiate hard to get any extras, upgrades or discounts when purchasing a new vehicle. To stimulate demand, many dealers began adding more and more to the package, making some deals particularly hard to ignore. The fact that we are becoming more and more used to ‘renting’ our belongings and services - from mobile phone contracts to TV subscription services - has meant that finance options like Personal Contract Purchase (PCP) and Hire Purchase (HP) have become more widely adopted. With a relatively small deposit, it’s now possible to drive away in a brand new car that you would never have afforded otherwise. It is thought that Payment Protection Insurance (PPI) compensation pay outs have also contributed to the trend. Many have chosen to spend their compensation on a new car deposit in order to take advantage of the competitive deals. After the shock of the recession, it’s understandable why many have treated themselves to a new car. What kind of car finance options are people using? As mentioned above, there are a couple of ways in which people are buying new cars. Very few are purchasing new cars outright, with most opting for finance deals in order to spread the cost. In 2016, a whopping £31.6bn was borrowed under car finance schemes, so how do they work? Hire Purchase works much like a rent-to-buy scheme, with a typical deposit of 10% required at the beginning. After this, you make a fixed monthly payment over an agreed term. Once the payments have all been completed on time and in full, the car is then yours. Interest rates on Hire Purchase agreements tend to be fixed, so you’ll always pay the same amount – this is helpful for those who like to keep their finances simple. As the loan is secured against the car itself, failure to make payments properly means the car could be taken from you. In fact, until you’ve paid a third of the total amount payable the lender is allowed to repossess the car without a court order. This also means that you cannot sell your car during the repayment term. Personal Contract Purchase is different, in that you essentially just hire the car for an agreed term, before handing it back. This can be a good choice for those who like to change their vehicle every so often. As with Hire Purchase, PCP requires a deposit and then regular monthly rental payments. The lender will agree with you a set hire term and how much mileage you are allowed to do within this time. There are extra charges for exceeding the agreed mileage. At the end of the term, you have the option of buying the vehicle outright for a balloon payment or handing it back. Some lenders will offer a new vehicle to you under the same conditions as the last, allowing you to upgrade easily. However, unless you pay that balloon payment at the end, you will never own the car and can therefore never sell it or modify it. Any damage beyond wear and tear will also have to be covered by you. There is worry that the car finance industry is not working as well as it should. Car finance contracts are becoming as normal as mobile phone contracts, and while this method can work for some, for others it’s simply not the most financially sensible approach. New cars are enticing for many reasons, but when you take the depreciation into account, they may not seem like such a good deal. Even with car finance options, you could be stuck paying out for a vehicle you no longer need or want. Owning a car outright allows you to sell when you need or want to, so many are turning to second-hand cars for the most flexibility and better deals. The quality of used cars has gone up considerably in the last decade and re-selling a vehicle has become easier than ever before. Of course, you need some money to be able to buy a car outright, which is why many are turning to their savings or are using a personal loan to get what they want. By using a personal loan to purchase a vehicle, you can still pay off a fixed amount each month but you will own the vehicle outright from the beginning. By looking at your budget and borrowing options first, you can find a car which fits in with your budget, not the other way around. This has helped many people get out of the PCP cycle and avoid losing money through depreciation and expensive monthly payments. However you decide to buy your next car, make sure to crunch the numbers before being drawn in by a deal which may not be as financially sensible as it first appears. For more information on how much you could borrow and what your monthly payments will be, check out our online calculator or pop in store.